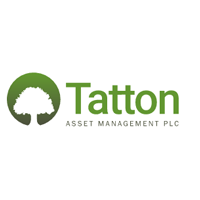 Tatton Asset Management PLC (LON:TAM) is the topic of conversation when Zeus Capital’s Research Analyst Robin Savage caught up with DirectorsTalk for an exclusive interview. Q1: Tatton Asset Management, it was floated on the AIM market on 6th July last year, 2017, and since then it’s performed well. What services does the company provide and what should shareholders expect in terms of returns? A1: They provide a wide range of B2B services to UK directly authorised financial advisers. Tatton Investment Management provides asset allocation services, which we’ll talk about in a minute, and other group companies provide compliance, business consulting and mortgage services under the Paradigm brand. So, Tatton Investment Management enables financial adviser firms to provide Discretionary Fund Management services, which until recently were only available to wealthy clients, to most clients of IFA firms. Importantly, the annual cost of their tracker service is only £12.50 plus VAT for every £10,000 of assets under management, that’s 0.125% charge so a very low charge. That’s a low charge for their high quality and low cost services and this enables financial adviser firms to improve the service and lower the total expense borne by the end investors. Shareholders should expect the company to deliver sustainable profitable growth because all of the divisions at the moment are profitable and Tatton Investment Management Service is growing very strongly and therefore that’s the main driver of the revenue and profit growth. Over the next 3 years, we expect group revenue to rise by 14% per annum and the profit to rise 20% per annum. As the group has low capital requirements and it has high cash conversion, the shareholders should enjoy a generous dividend pay-out as well as capital appreciation which reflects the growth of the assets under management. Q2: Your note, it was called ‘Potential doubling of AuM’, it suggests that Tatton will double its assets under management over the next 4 years. Can you talk us through your assumptions? A2: Well, there are two assumptions, one of which is that I’ve assumed that markets prices remain unchanged, in other words the equity market stays where it is at the moment, there’s no expectation, there’s no assumption in our forecast that there’s going to be any market appreciation to benefit the group. I also assumed that the more recent joiners add as many clients as those which joined Tatton 4 years ago so as of 30th September, there are 405 financial adviser firms using Tatton Investment Management service and the total assets being managed were £5.7 billion. Exhibit 4 of my research note shows the split of this £5.7 billion and it can be split into £4.5 billion or 79% which is contributed by 169 Paradigm client firms which have an average of £26.6 million per firm. There’s the £1.2 billion or 21% which is contributed by 236 non-Paradigm client firms with an average of only £5.1 million per firm. So, the differences between these firms are that the Paradigm clients have been there for a long time, many for 4 years, whereas the non-Paradigm client are relatively new. So, when the new non-Paradigm clients increase their assets to the average of Paradigm firms, the average assets under management will increase to £11.7 billion. You can look at it slightly differently and let’s look at it by when the individual firm became clients of Tatton, it can take 3 to 4 years for a firm to transition the majority of its clients’ assets to Tatton. Each adviser firm quickly recognises the quality and cost efficiency of the service, but the firm has a duty to advise each individual client and to look at the circumstances, and circumstances can cause delays in transfer of the assets to a more efficient service. Our analysis suggests that over the next 4 years the assets from firms already using Tatton will rise to around £12 billion and in addition, shareholders should expect growth in Tatton’s client base of adviser firms using the service. So, in July 2018, a survey of adviser firms by Platforum revealed that while 46% of adviser firms were using services such as Tatton, only 15% of adviser assets were actually using the service. This suggests to me that as the regulator takes a closer view on the performance and the costs of various investment strategies used by advisers, there is a potential for assets to grow its client base and its assets under management by at least doubling, probably tripling. Q3: How can investors estimate the fair value of Tatton Asset Management when it is growing so fast? A3: Well, this is a really difficult issue but let’s look at it first from the bottom up and then from the top down. First, investors might like to consider four elements of the TAM share price, our exhibit 3 shows three of the elements that could comprise the share price. First point is, on 30th September 2018, the group had no debt and it had £11.6 million of cash at bank and in hand. We estimate that the surplus cash is around about £8 million and that is about 14p a share. Secondly, we should look at the value of the Paradigm businesses, these are the ones which provide compliance and various other consulting services and mortgage services to IFA’s. This business is similar to that of SimplyBiz which is a bigger business and SimplyBiz currently trades on a PE ratio of 14 times, it has recently been trading hard but at 14 times currently. Valuing these profits, net of central costs, at a 10% discount to that 14, so in other words at 12.6, that would ascribe a value of £29 million, or 52p a share to the Paradigm businesses. The third element is the value of the Tatton Investment Management piece, this is growing its assets under management at 20% per annum and it’s got operational gearing which should enable the actual growth in profits to be more like 30% per annum. This should justify a Price Earnings multiple of at least 24 times which is a PEG of 0.8 and a current value of around £2.17 a share. So, these three elements total 283p a share so that’s at valuation now and if you were to look at the value in a year’s time, what you need to think about is what additional value is being created by the increase in the number of firms using Tatton. We estimate that there’ll be around about 100 firms starting to use Tatton over the next year and these firms, at start, will only be contributing a small amount of assets because obviously, when you start, you start off with a small amount of assets and then you build up over time. We estimate that these assets will grow over time and the value added by these 100 firms will be around about £30 million so in other words, £300,000 of lifetime value per firm to the group’s equity value. This is an increase of 54p a share or 19% of the group’s value now increased over the next year. So, top down, we could also look at TAM shares trading at 242p which is 21.5 times our current year adjusted EPS forecast and current year dividend yield of 3.5%, with 20% growth. We could say that there are very few companies which could have such strong cash generation and dividend generating prospects. In my opinion, TAM shares have the potential to deliver both 19/20% capital growth per annum and an attractive dividend yield. I think it’s one of the more attractive stocks around. Click TAM for the full archive.